Linux in 2012 It's been a rough year for Linux on the desktop. More specifically, it's been a rough year for GNOME-based Linux on the desktop. But a glimmer of hope may have appeared thanks to a Mint-flavoured distribution of the open-source operating system. KDE, XFCE and other desktop interfaces soldiered on in 2012 in their stolid ways, while GNOME 3, Gnome Shell and Ubuntu's GNOME-derived Unity desktop largely succeeded in turning the Linux world upside down, though perhaps not in the way they intended. This year marks the first time many GNOME users were forced to face up to the unpleasant realisation that the community does not directly control the direction of development. The GNOME team is in charge as is Canonical, the maker of Ubuntu. To be a GNOME or Unity user today is to be a pawn in a larger fight for marketshare, mindshare and the future of personal computing. This year's GNOME is no place for someone who just wants to get some work done. The GNOME Shell interface has been nearly universally panned since it arrived and that didn't change in 2012. The difference is that this year, as GNOME Shell matured to version 3.4 and beyond, the criticisms were sharper, the shortcomings less forgivable. Even those willing to cut GNOME 3's Shell interface some slack for the first few iterations seemed to run out of patience. 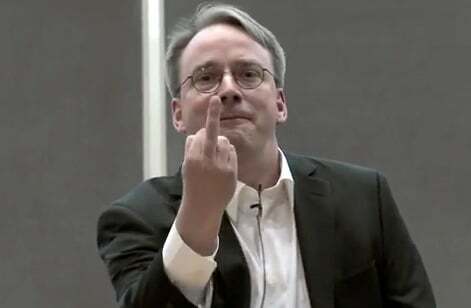 Linux kernel creator Linus Torvalds dismissed it as an "unholy mess" and decamped to XFCE and then KDE. Whisper GNOME Shell anywhere on the web and a host of angry former GNOME users will show up decrying the lack of features: why, for the love of all things usable, is there still no button to minimise windows? It turns out those features, those things we all used to get things done - like minimising windows, using Alt-Tab to switch programs or, God forbid, changing the theme - are, in the view of GNOME developers, only things power users really want. GNOME, as the developers would have you believe, is not designed for nerds that want to customise things. The GNOME project knows what you need and don't need. It shouldn't come as a huge surprise, GNOME developers have been saying this for years, but this year it seems to be finally sinking in. "Software isn't designed by committee where you have to rationalise every decision before you take it," wrote one GNOME developer back in 2009 in a bug report questioning why GNOME 3's power manager is less functional than its predecessor. "Software is a vision," he continues. "I'm writing [the power manager] to that grand plan. If you don't like it that's fine." In other words, it's our way or the highway. Ubuntu's Unity is perhaps slightly less reviled than GNOME 3, but the poorly thought-out decision to merge irrelevant and often not-safe-for-work Amazon shopping suggestions into desktop search results angered many users and earned Canonical a public rebuke from the ordinarily Linux-friendly Electronic Frontier Foundation (EFF). As if the move to the new Unity desktop wasn't contentious enough, Canonical's billionaire boss Mark Shuttleworth, along with his crew, thought the new Amazon Search Lens for Unity's desktop and local network search was a superb idea. The new Lens, which is enabled by default in Ubuntu 12.10, suggests products from Amazon and skims a cut of any sales if the user happens to purchase items. Ubuntu apologists argue that Canonical's Amazon tool is no different to Mozilla's arrangement with its Firefox browser and Google: non-profit organisation Mozilla is paid to make Google the default search engine for information looked up using the web browser's search bar.